Stepped up my game this weekend and added a 2017 Ultra Limited to my garage. Only 3300 miles. 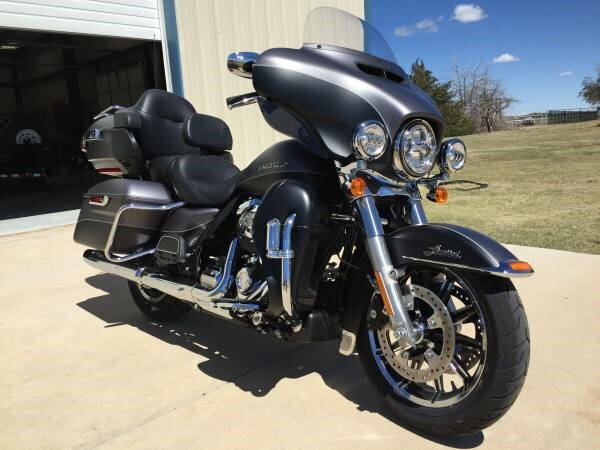 Big difference between my '09 Road King 96 and the M8 107. Love the denim color. Let me know what you think...thanks! I think you are going to like it. And if you have a passenger she will like it as well. great looking scoot, congrats on the new addition. Awesome , congrats on the new ride ! I'll start by saying there's nothing I don't like about it. Every once in a while Harley puts out a bike that puts a smile on your face. For me, that's one of them. Been riding ultras since 1992. Bought my last one in 2000. Would have a hard time parting with that one but would be very tempted to if given a chance to pick that up for the right price. Congratulations!! That's a keeper for sure. Not a fan of any of the denim finishes but as long as you like it that's all that matters.